The Paris Motor Show is currently taking place in France. Lots of car launches have been announced so following the success of our London round up, here comes the first of two posts on the French show. 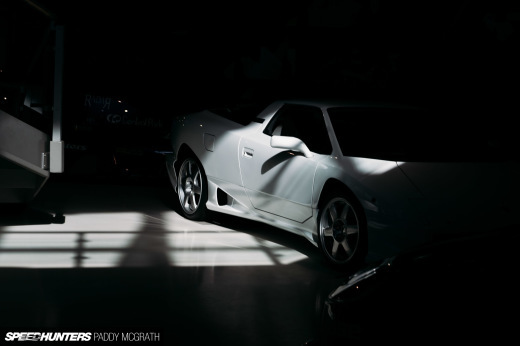 In this post we concentrate on the European cars. 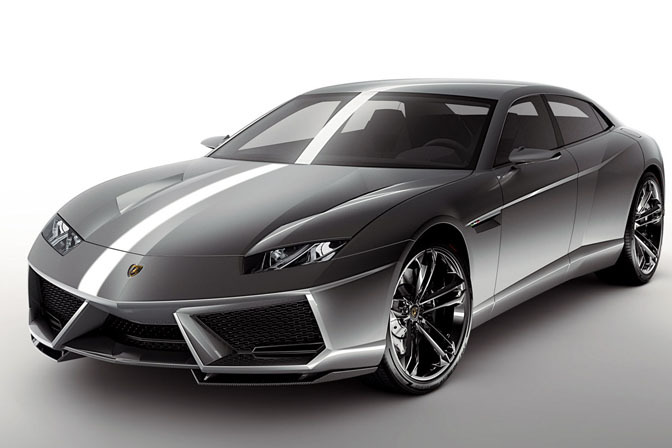 The most talked about car at the show was the new Lamborghini Estoque concept. We'll talk about that in a minute, but I'll focus on a couple of more affordable cars first. Doesn't seem that long ago that the 5th Generation of the Volkswagen Golf (Rabbit in North America) was launched. Well, VW have launched a heavily revised car for 2009. The new sixth generation is loosely based on the old chassis. You can see its DNA in the cabin area. Paris saw the launch of the 'GTi Concept' which is production ready. The new Golf shares the new VW front end which made its debut earlier this year on the Scirocco. Its not the only thing it shares, the Golf carries over a number of styling features. 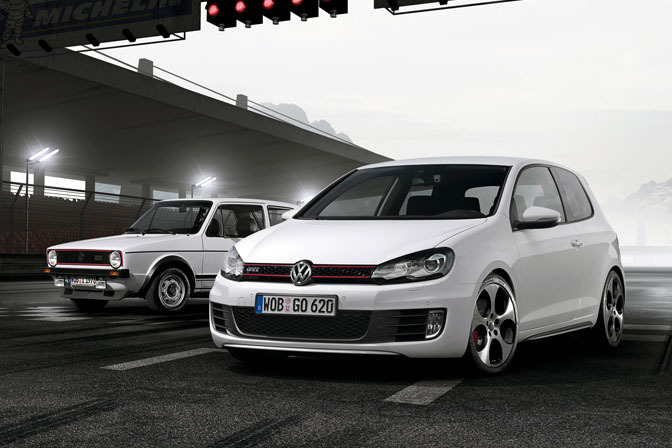 Its a clean design and the front, in GTi form, looks quite agressive, but its also a little bland along the side. Despite this, the Golf will be a massive success, the original hot-hatch is always popular despite a crowed market place in Europe. Powered by a 210bhp 2.0 Litre Turbocharged unit, a TDi will no doubt follow in Europe. One of the Golf compeititors is the new generation Megane. Available in a three and five door form, we concentrate on the coupe here. No surpirse that the new Renault has a distinciive design with an interesting front graphic with headlamp and air intake surrounds. Looking along the side, the window line rises over the rear fender which curves around to the rear tailgate. The Megane Coupe isn't out for a couple of months, but visitors to the Paris Motor Show can drive the Megane Coupe on the Renault stand, courtsey of our latest Need For Speed Undercover game. 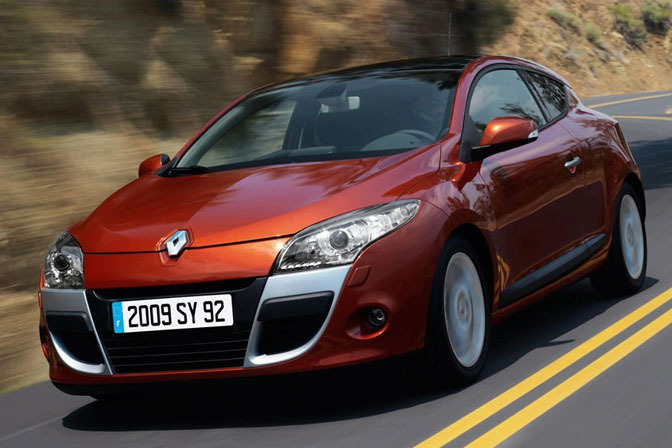 Renault organised a one make, space frame chassis series in Europe over the last few years. The Megane Trophy was popular and on occasion, supported Formula 1 events. A new Megane '3' bodystyle has been styled and will be added to all the space frame chassis ready for the 2009 Championship. Powered by a 360hp 3.5 Litre V6 engine. One of the most agressive looking racecars I've seen for a while. Now to our 'cover' car. This was the talk of the show on Thursday. 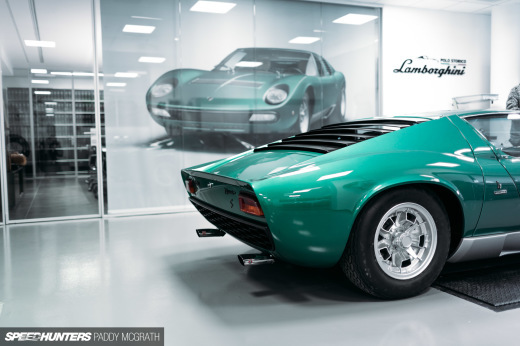 Lamborghini have produced a 4 door before in the form of the LM002 off roader and the beauty Portofino Concept car in the 80s. The Estoque is a strange looking car. The front is hevily influenced by the Reventon and the recently refreshed Gallardo, while the middle section has elements of the 70's Espada. The wide rear fenders are very unusual and extreme. A busy design. 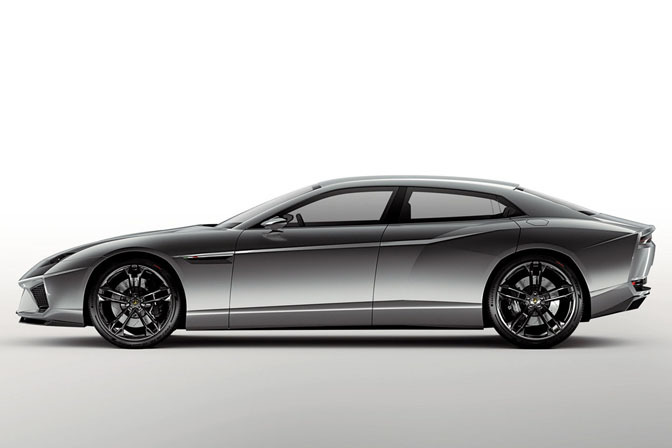 Its strange that this niche of fast sporty sedans like the Estoque, the forthcoming Porsche Panamera and Aston Martin Rapide is in a growth period during this credit crunch. No doubt the effects of this will determine if this car really does see the light of day. 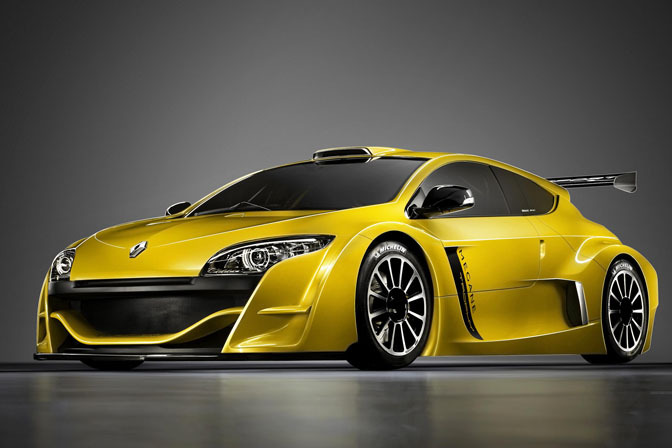 The concept is powered by a front engined V10 from the Gallardo. Production is rumoured for 2010. Citroen are showing a couple of concepts, but I thought I would pick this one out. Citroen have produced a number of distinctive and well detailed cars in the last couple of years and they now have a dynamic interesting range. This concept will never see the light of day but this cross-over SUV concept deserves a mention because of the great surfacing detail. The undercuts along the side of the car and the fenders are very distinctive and well resolved. The Vertical front air intakes under the headlamps continue the look seen on other recent concept cars. 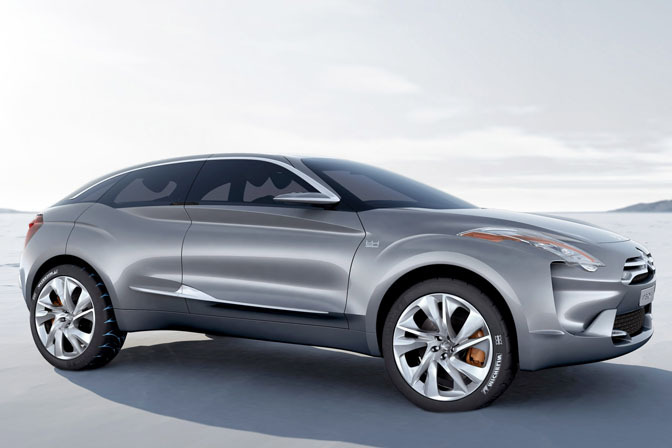 It is great to see the likes of Mazda and Citroen exploring new forms with their series of concepts. This concept is quite interesting. 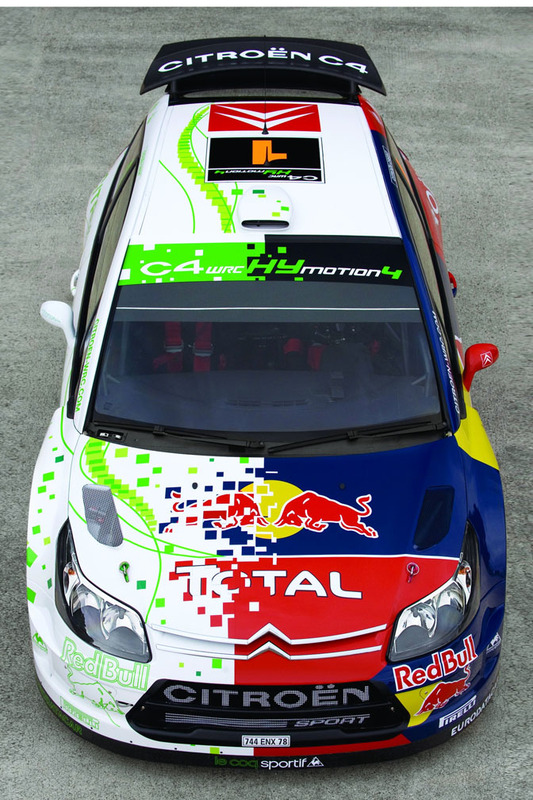 The WRC rally car mated with an electric motor, which can be used between stages to reduce emissions. However, the hightlight for me is the livery. I like the transitional device between the Red Bull design and the 'eco' variant. 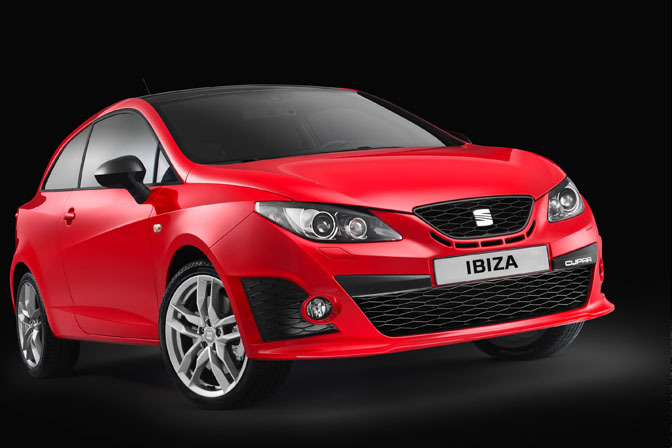 The Ibiza range was launched a couple of months ago and is VW Polo size. The 'Cupra' is the Spainish manufactures performance model and was launched at the show. SEAT showed a concept earlier this year similar to the production Cupra, but with the area under the lights and grille all in Black. It looked great, such a shame, they 'chickened' out and went tradtional. The front end remains aggressive and distinctive. We will leave you with a sneak-preview. 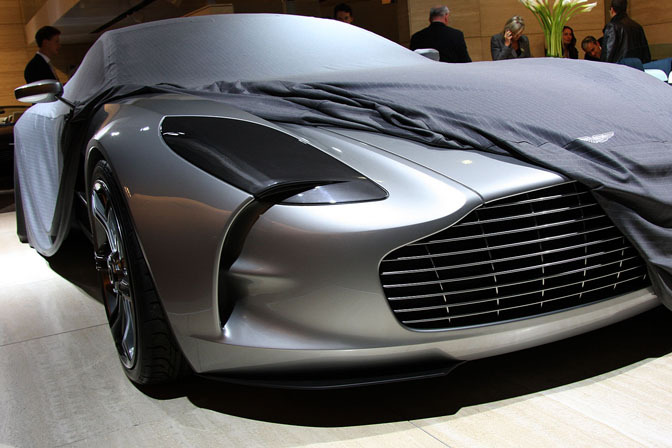 Aston Martin recently announced a limited edition model, Project One-77. Powered by a 7.3 Litre V12 engine. The car, or at least a model, was at the Paris, but it was covered up. We did get a sneak preview of the front corner. Notice similarities to the air intake on the Citroen concept above? In Part Two, we look at the Asian and North American manufactures at the show. 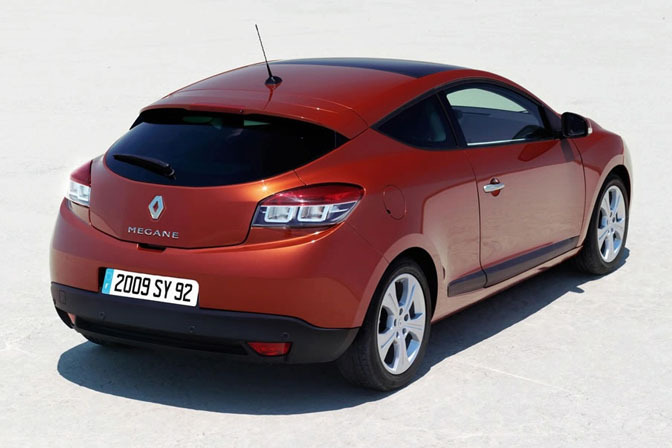 The Renault Megane is bad ! It reminds me of the Renault Espace with the F1 engine a while back. If you go to http://www.leftlanenews.com/aston-martin-one-77.html you can check out a full illustration and 2 full renderings of the car after the writeup. This car is going to blow everyone away btw. Honestly, I dont think its a particuarly great design, although its certainly wild. . I feel the Citroen Hyphos (and others like the C-Matisse concepts) have more relevance to future design and trends. Probably the same reason that Car Design News ( a great car design site) also did a piece on the Hyphos of the GT. (so far). It is however a fantastic marketing exercise so Kudos to them. FYI - We've published race car with other game logos on them before, so its not an issue. 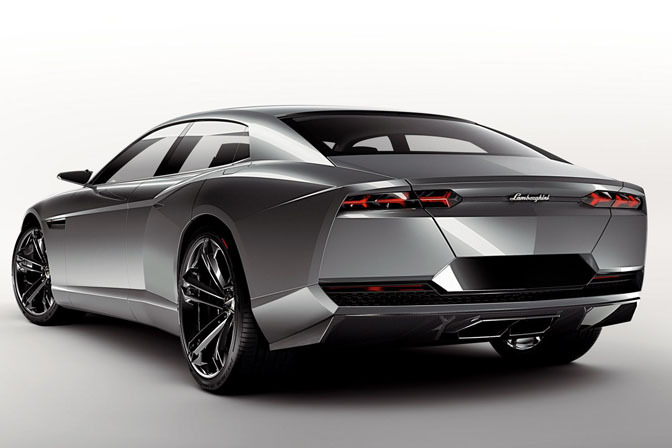 is it me or the Lamborghini Estoque concept is very hideous!! Love that Megane race car! Too bad we kicked the French auto industry out of the U.S. back in the late '80s. 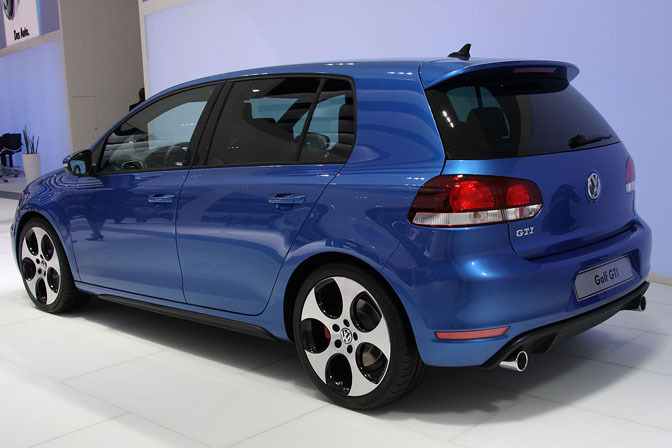 I think the MarkVI Golf is a great improvement, like the incorporation of the 'rocco's styling. I too, thought the Estoque looked eerily similar to the Dodge Charger concept, I think it was 1998, at least it's not a V6 hybrid though! I'd still have the Aston Rapide though(providing some gracious fellow lends me a couple hundred thousand!) Speaking of Aston, I still have mixed feelings on the One-77, have you seen the price?? They want $2.4 million for it! @ dude.......I agree with you about American car designs. American design school students and independent designers design pretty nice cars but it seems they're given Ugly Car Serum (tm) when they start working with a major manufacturer. in their defence, there are many American Designers working in Europe and Asia and vice versa. Lots of people move about between companies and continenets. Just because your born on a certain side of the Atlantic, does not make you a good or bad designer.